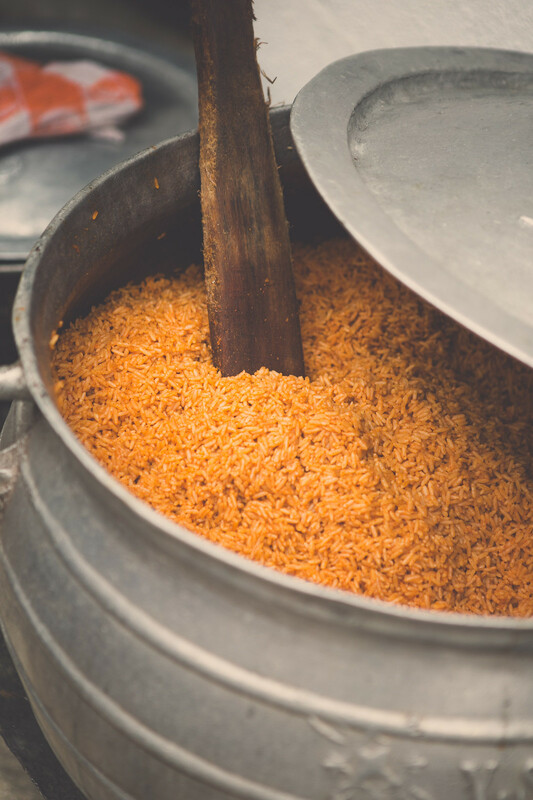 I’m a huge fan of Jollof Rice…but you know that already. 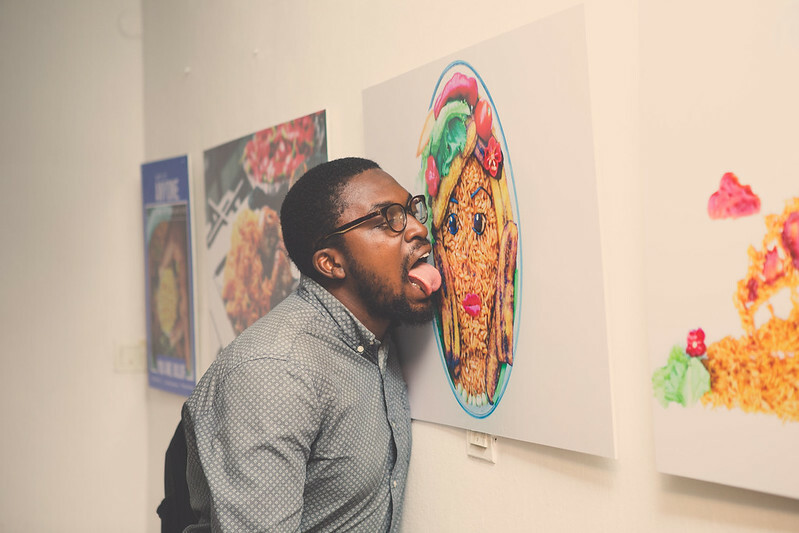 I’m an even bigger fan of celebrating Nigerian cuisine and that underscored the theme of last year’s World Jollof Rice Day celebration. 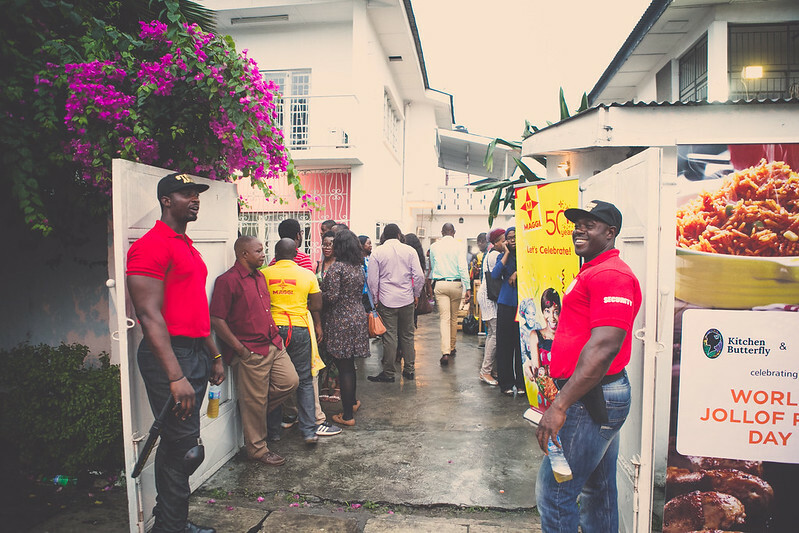 I organised – with Maggi as the key sponsor – a Jollof in the Arts event. 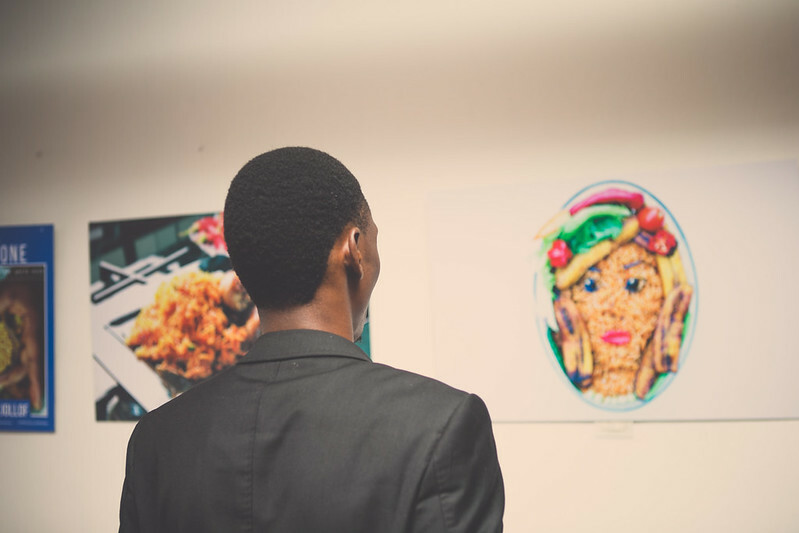 The idea was to explore Jollof Rice in Literature and also as a medium for art :). 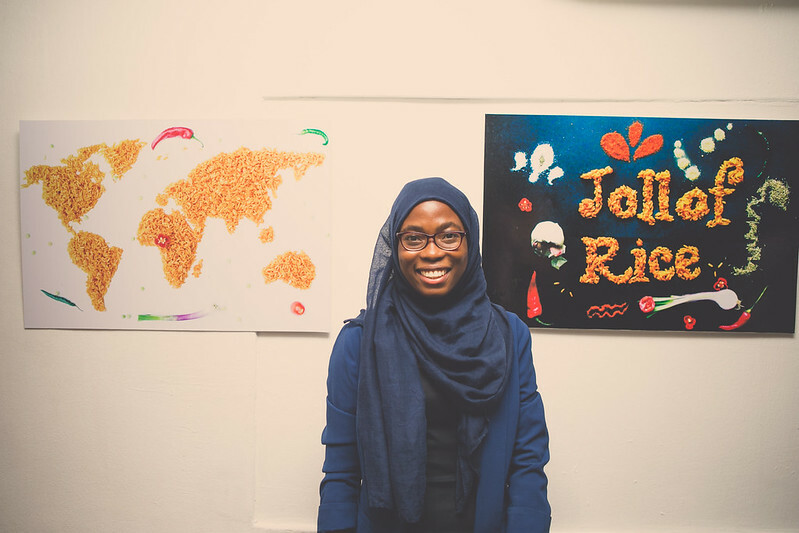 An exhibition with Jollof art made by Haneefah of Muslimahanie – gorgeous art using Jollof as the medium! Aren’t these pieces gorgeous? 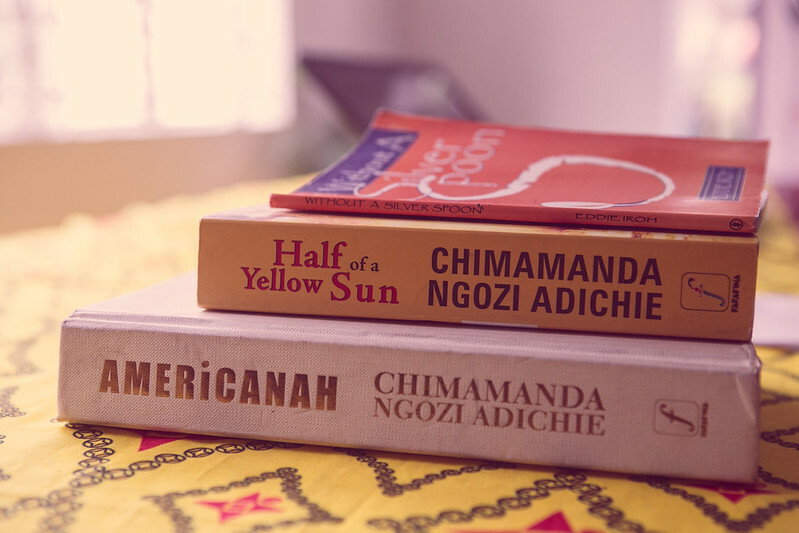 A book meet: an exploration of ‘Jollof Rice in Literature’ (Americanah by Chimamanda Ngozi Adichie and Without a Silver Spoon by Eddie Iroh). 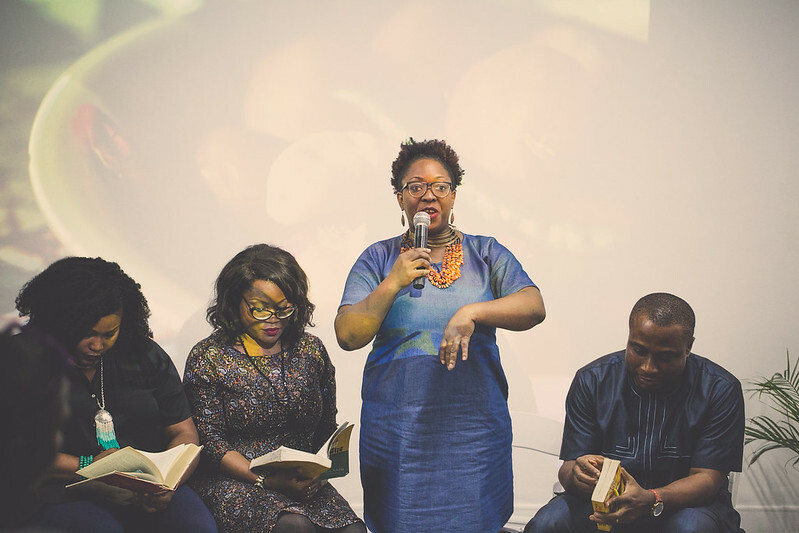 This session featured Ozoz ‘Kitchen Butterfly’ Sokoh, Wana Udobang and Amanda Chukwudozie, moderated by Eghosa Imasuen. 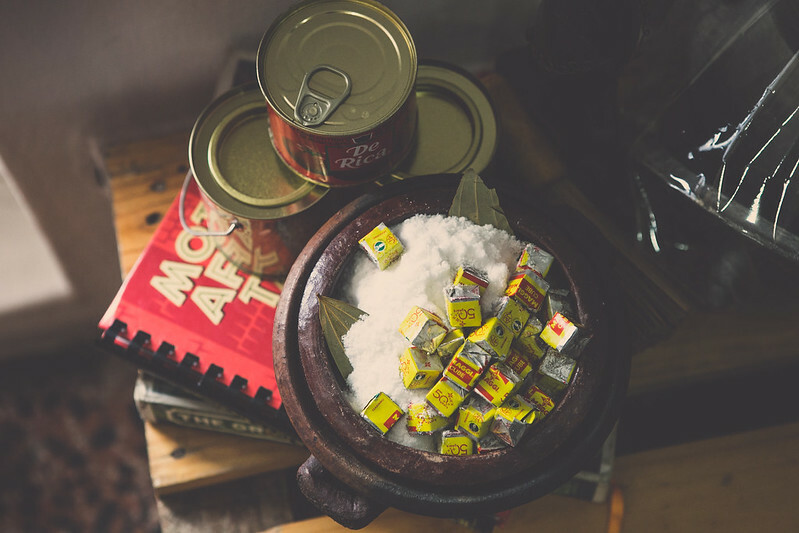 I love the way Jollof rice is present in Nigerian literature and the contexts in which it’s used to describe relationships, how it provides comfort, how it serves as a platform for lessons. 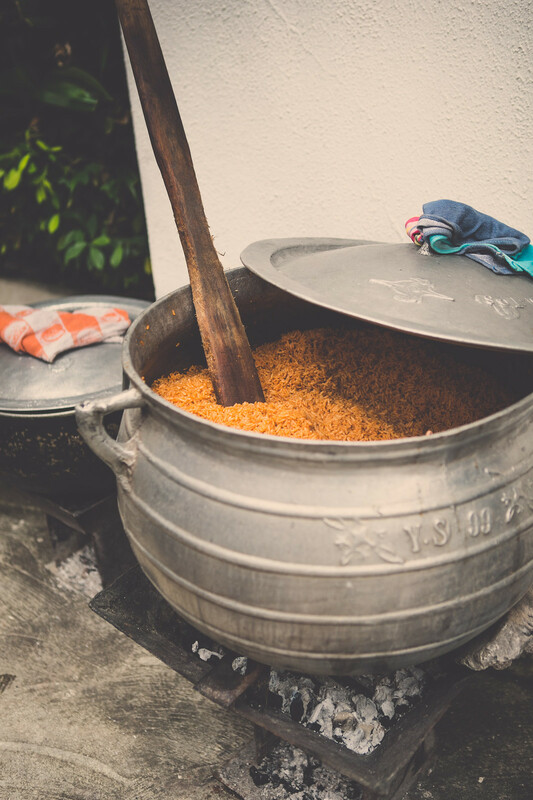 Jollof rice is so deeply woven into the fabric of our lives, I find it beautiful to see and read. 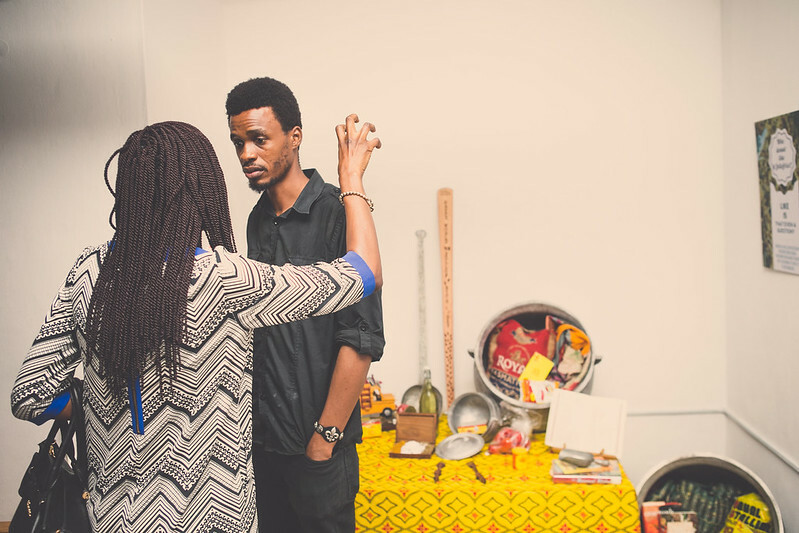 Another aspect that I find fascinating is trying to date its existence in Nigeria. 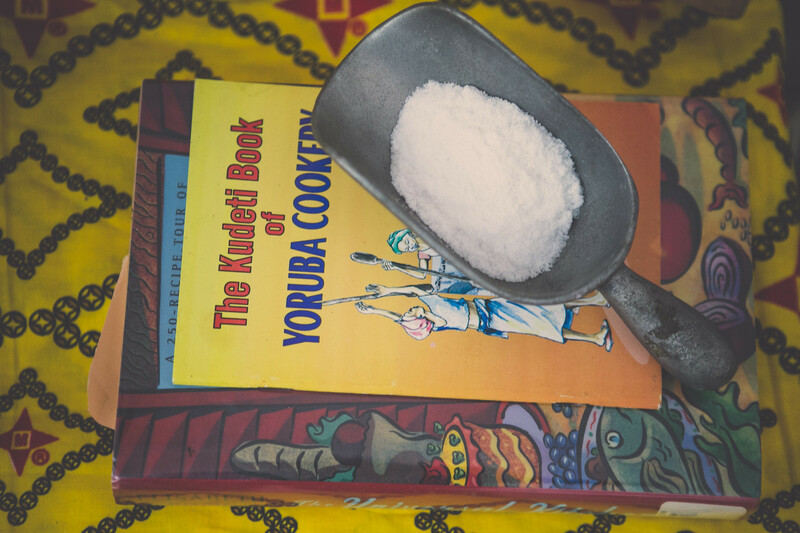 I have a number of cookbooks, some from the 1930s and Jollof recipes are very present. 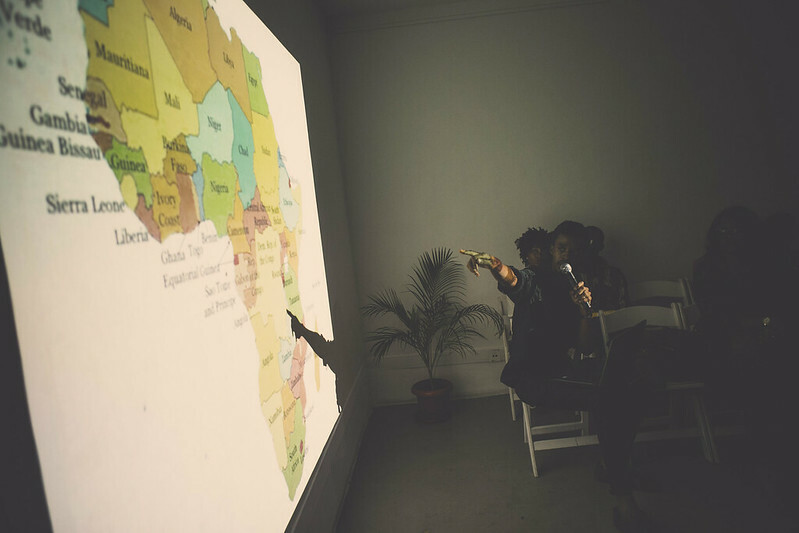 I suspect that it goes back hundreds of years but we start with fact…and progress as we learn more. 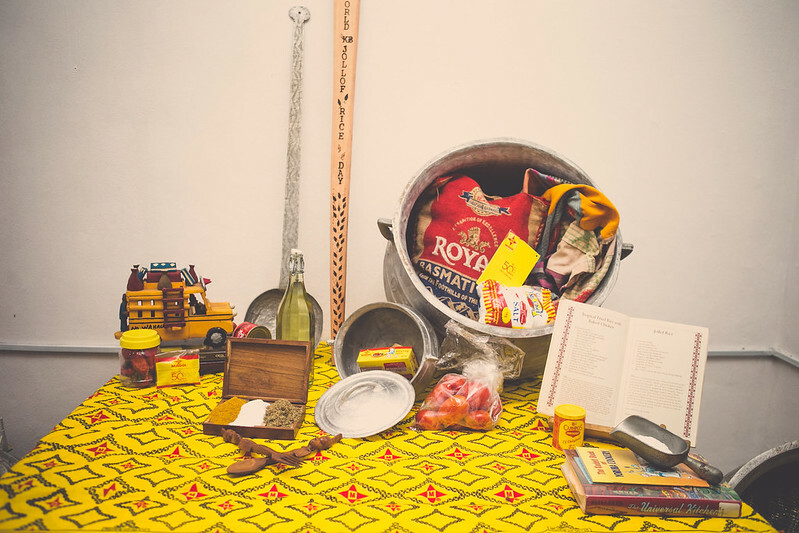 I can’t wait to map the foodways and learn/ share more. 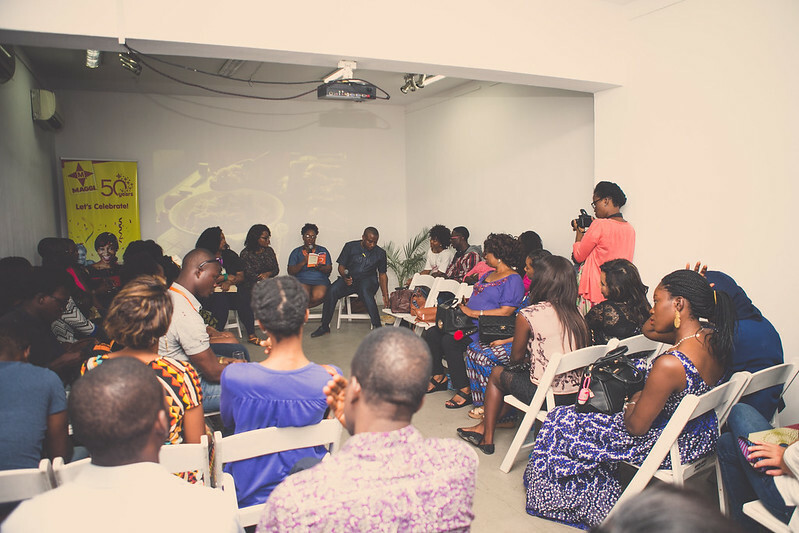 It was an amazing day – from people turning up to delicious Jollof and having these amazing discussions. 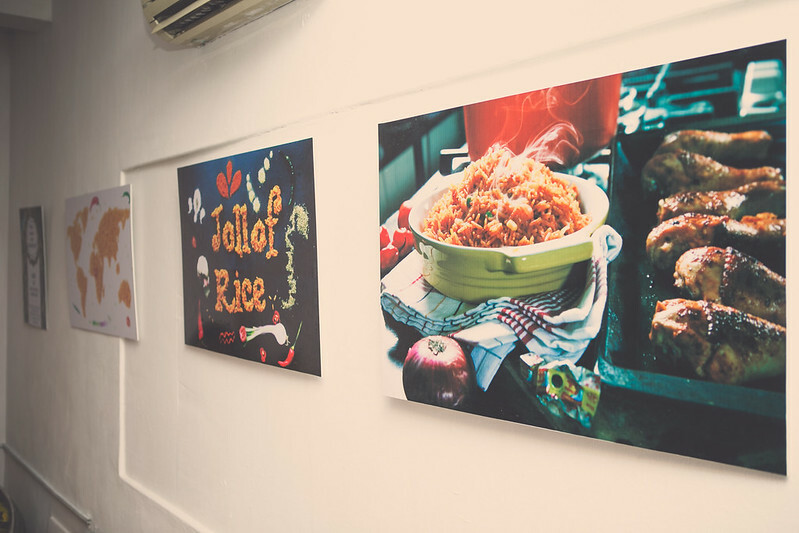 Viva Jollof, Viva Nigerian Food!